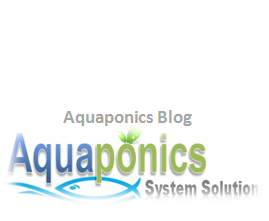 Aquaponics systems are fast gaining popularity the world over. And this is of no surprise with the added benefits and positive reviews that follow them. With the savings in water usage and energy conservation that come with the system, countries like Africa and South America are seriously looking into implementing aquaponics systems in a mega scale. Through the introduction by Universities and researching bodies, people are getting more aware of the advantages of aquaponics systems as opposed to conventional agriculture. I mean if you know you could potentially safe 90% of water usage and about 75% in energy, why wouldn’t you be interested. The idea of aquaponics systems actually dates back to the mountainous regions of ancient China paddy fields. The folks here have somehow found out about the symbiotic relationship between their crops and fish. And with this knowledge, they have been growing crops and breeding fish in their fields for hundreds of years and they are still practicing that to this day. The main philosophy of aquaponics systems is that aquaponics plants flourish on fish excretions that is converted to nitrate by nitrification bacteria. The plants however, filters the water and leave it fresh and clean for the fish strive and grow healthily. Aquaponics has gained popularity again in recent years mainly due to the countless benefits that it offers. On top of the savings from water and energy usage as mentioned above, with aquaponics systems you don’t need to weed your garden. You don’t even need be bothered with soil bound pesticides because it doesn’t require soil to grow your food. You don’t even have to stress your knees and back bending to harvest your produce. This is because a decent aquaponics system designs are thought out to be ergonomic and easy to use. The growbeds are normally elevated to waist line height for minimal stress and friendly use. The basic principles of aquaponics are rather similar to hydroponics. Hydroponics is a method of growing vegetables with the use of a specially treated solution as fertilizer. Aquaponics is like hydroponics in many ways. In fact, aquaponics actually borrowed hydroponics systems idea in operation. The main difference would be it uses fish waste as fertilizer for the plants. Here, the plants extract nutrients from the water and return fresh and filtered water to the fish to strive on. And the cycle goes on and on creating a mini eco-system within the aquaponics system. Read about it here, if you want to find out more. Both have their pros and cons. Personally, I’m an advocate to media filled aquaponics systems due to their sustainability and flexibility in plant choice compared to a non-media system. Some of the more common media used include; river stones, lava rocks and hydroton (LECA) to name a few. Their main purpose is to keep the plants erected really. 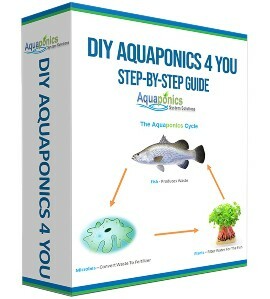 You can buy ready stock kits or DIY build an aquaponics system yourself. Either way it’s workable, but if you’re a diy person you can actually build one that suit the space you have right. I mean you can scale or design it the way you would like it to be. The diy aquaponics kits however, will cost more, but they save you the trouble of drilling and sawing. The preference is yours really. Well, to get started you will need a place to keep the fish. This can be an existing aquarium you may have in your house. If you don’t you can also use unused tanks or buy one. A note to remember here; If you have chose the unused tank option make sure to give a good rinse first. The next thing you would need is a growbed. This is where the plants grow and can be made out of a plastic or a fiber tank. After you have got both the fish tank and the growbed established, next you need to get the water system ready. You will need a water pump and some plumbing work to push water from the fish tank to the growbed and from the there, transfer water back to the fish tank again. You also need to decide if you would go with a media-filled growbed or a non media-filled one. A continuous flood system or a flood & drain system and whether to use a standpipe or siphon. The next thing you need to do now is to fill the system with water and “cycle” it. Cycling of aquaponics systems simply means allowing the system water to establish its much needed bacteria, i.e. Nitrosomonas and Nitrobacter to achieve a good water chemistry balance. You can cycle the system without the plants and fish or with them included during cycling. Personally, I am an advocate of the latter as I think this would help to achieve good water balance more naturally. 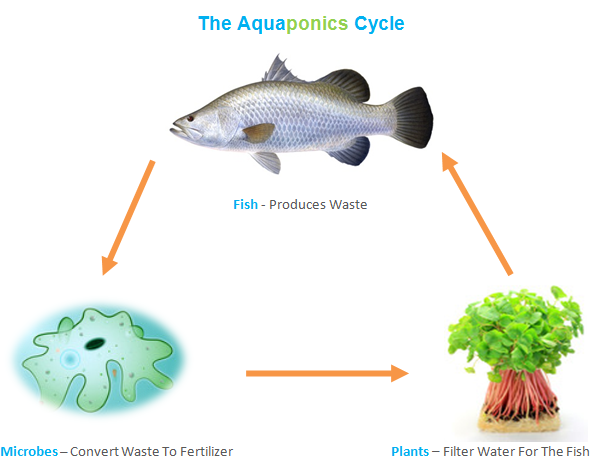 Now, let’s take a look at how the eco-system in an Aquaponics Systems work. This process is also called the ‘nitrogen cycle’. Let’s start from the fish. When we feed the fish, naturally they will produce wastes or excretion in the form of ammonia. Nitrosomonas bacteria, in the system will then convert the ammonia to Nitrite. This process is then continued by the Nitrobacter bacteria which will convert the nitrite to Nitrate finally, that will be fed to the plants as organic fertilizer via a water pump. Here, in the growbed plant roots will feast on the nitrate in the water to flourish and grow into delicious, healthy organic food. This process also cleans the water off nitrate, excessive of which could harm your aquaponics fish. The water is then drained back to the fish tank through a drain line or more commonly known as a stand-pipe or a siphon, depending on the aquaponics system design you have chosen. For all the above to happen, it is critical to have the system water circulates continuously. Normally a water pump is used for this purpose. Without circulation the aquaponics system will fail. All the elements such as the bacteria, fish and plants will all die off eventually. 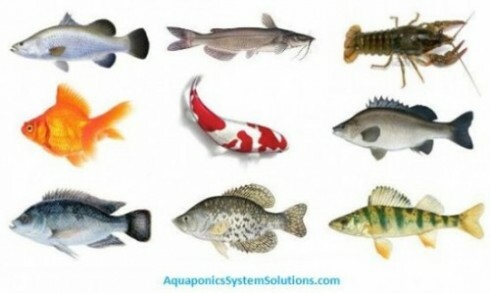 There’s a wide range of aquaponics fish you can choose from for an aquaponics system. Tilapia and trout are the more popular choices due to their hardiness and fast growth rates. Other popular aquaponics fish include; Goldfish, Koi, Barramundi, Crayfish, White Bass, Crappies and even Catfish. Choosing the right aquaponics fish species is critical to the success of your system. You need to bare in mind that it is crucial that you match your aquaponics plants correctly with the fish species that you choose. Taking into consideration your geographical location and weather conditions would be the first place to start. Any leafy greens, such as lettuce, bok choy, kai lan, herbs even flowers grow well with aquaponics. I know of people who are successfully growing trees with aquaponics. Well, there you go, a quick tour of what aquaponics is all about. I truly belief this is the way to go for the future of agriculture. This makes perfect sense with the inherent benefits that come with the system. 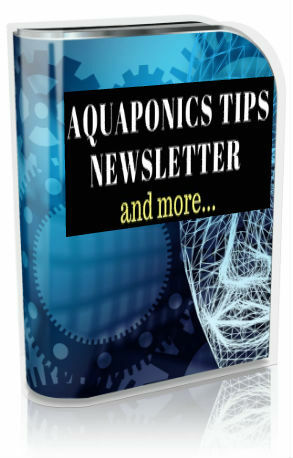 To find out more about aquaponics and how you can start your own diy aquaponics systems, just click on the box below. Build Your Own Aquaponics NOW!